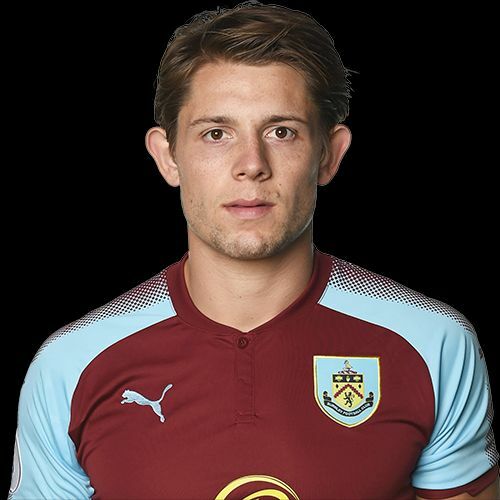 Last week goalkeeper Nick Pope was being tipped to win an England call up; this week all the attention has turned similarly to central defender James Tarkowski. Add that to Jack Cork’s England debut earlier this season, which followed on from Tom Heaton and Michael Keane becoming England internationals, and it certainly shows things are changing significantly at Burnley Football Club. For more than forty years any suggestion of a Burnley player making it into the national side was almost laughable. There was some talk of Glen Little once in the early 2000s, when the England manager turned up at a Burnley game, whilst Dave Thomas, Tony Morley, Trevor Steven, Micky Phelan and Lee Dixon all went on to win caps but only having moved on from Burnley. That was repeated more recently when Jay Rodriguez was capped having left us for Southampton. But I think most of us thought that Martin Dobson’s appearance for England against Yugoslavia in Belgrade in June 1974 was the last we’d ever see of a current Burnley player wearing an England shirt. Dobbo was Burnley’s 24th England international; the first was Jack Yates back in 1889. He played once and scored a hat trick in a 6-1 win against Ireland. Of that group, 14 of them played prior to World War II which leaves just ten who represented England whilst at Burnley from the resumption of football after the war until 1974 and this at a time when Burnley were a successful club, spending virtually all of the time in the top flight with some very successful seasons. By the time I first watched Burnley the England careers of three of the ten from the post war era were over, those being Billy Elliott, Brian Pilkington and Colin McDonald. A fourth, John Connelly, had made his England debut and the picture below shows him scoring his first England goal against Sweden in 1959. So, over the years, seeing a Burnley player in an England team has been far from a regular event. By the end of 1961 three of our title winning team had won their first caps. For John Angus and Brian Miller they were their only caps and Ray Pointer, despite scoring twice, played only three times. Gordon Harris was the next to play just once; that was in a friendly against Poland at Goodison Park in 1966 as we were building up towards the World Cup. Burnley ended that season in 3rd place, behind only Liverpool and Leeds. We had players such as Angus, Miller and Harris in that team, not forgetting Brian O’Neil, and to this day I can never understand how he was never capped, and Ralph Coates. Coates did eventually become our 23rd England international in 1970, but was incredibly cut from the travelling World Cup squad in Mexico at the 11th hour, whilst Dobbo was eventually capped during the 1973/74 season. Those ten post-war players won just 36 caps between them during the time they were at Burnley; John Connelly with ten won the most, although our club record is held by Bob Kelly who won 11 between 1920 and 1925. It’s not a good record, certainly not for a club who for years had graced the top flight of English football. There were always theories that you needed to play for the bigger clubs to win caps. Do I believe that to be the case? I know I’m biased but it is a resounding yes from me on that. By 1976, the decline started to set in at Burnley. We’d left the old First Division and the slide became dramatic. No one could have expected us to have current England internationals within our ranks and, incredibly, we went over sixteen years without an international for any country at all. Brian Flynn played for Wales against Israel in June 1984; the next Burnley international was Phil Gray who scored for Northern Ireland against Malta in September 2000. We’ve had a fine collection of internationals since from countries such as Canada, Greece, Iceland, Jamaica and New Zealand all represented alongside the Home Countries. We even, finally, got a Republic of Ireland international when Keith Treacy played against Croatia in 2011. Then things changed. Out of the blue, on 21st May 2015, having had a season in the Premier League with Burnley, Tom Heaton received his first ever England call up from Roy Hodgson. He had a wait for his debut, one year and six days to be exact when he came on as an 87th minute substitute for Fraser Forster in a friendly against Australia at the Stadium of Light, Sunderland. Embed from Getty ImagesI was watching on television and when I saw Tom on the touchline waiting to come on the hairs on the back of my neck stood up; I’d never actually seen a Claret playing for England before other than on a recording. To be honest, it was something I’d given up hope of ever seeing. Tom was the trailblazer; with Gareth Southgate having since taken charge of the England team, Michael Keane followed him in March last year and eight months later it was Jack Cork’s turn when he came on as a substitute against Germany, the same team Keane had debuted against. Southgate has been a regular at the Turf this season. Some think he has a season ticket and maybe he’s renewed on Dave Baldwin’s direct debit scheme. One thing is for certain, something is bringing him to our ground on such a regular basis. Whereas I used to ignore the announcement of an England squad, whereas I never expected a Burnley player to be included, I now eagerly await them, no longer to see whether we have any players included but how many Burnley players might be there. Let’s hope there is some fantastic news for our club and some of our players next Thursday when Southgate names his latest squad.